We give our customers the peace of mind that their home is well sealed and we offer quality services at an affordable price. Our technicians will work diligently to find any issues, and we will provide you with the best options for moving forward with a job. If you are interested in protecting your home from leaks contact the Scott English Plumbing Aliso Viejo leak detection team at 714-987-9801 or 949-462-9773. Or stop by our store at 1230 North Jefferson St, Suite H, Anaheim, CA, 92807. If you are considering your options for slab leak detection in Aliso Viejo, we’re ready to help. We charge affordable rates for labor and will work efficiently to keep your costs as low as possible. Our trusted technicians have the skills to identify any concrete slab leak in Aliso Viejo and will communicate their findings back to you clearly. 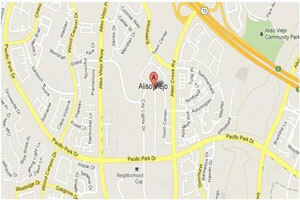 We’ll ensure that nothing is overlooked when we’re performing a Aliso Viejo leak detection job. We keep our customers best interest in mind and we would be glad to answer any questions you may have about our services. Our company operates with a high level of integrity, and our leak detection specialists are dedicated to exceeding the expectations of all our clients. We want to earn the loyalty of our customers by paying close attention to all the details of a job and making sure that everything goes as smoothly as possible. Any issues that come up will be given our complete attention so we can get them repaired as soon as possible. You can count on us to be careful with your property, and we’ll always clean up our work area when finished. To make it hassle-free to use our Aliso Viejo slab leak detection services, we’re flexible with our appointments and ready to accommodate any of your scheduling needs. We’ll arrive on time, every time, and our technicians will work efficiently to complete all jobs promptly. We would be happy to provide you with a detailed project estimate before starting so that you have a better understanding of a job. We’ll stand behind the accuracy of our results to ensure that you feel comfortable using our services. So pick up the phone and let us help you today at 714-987-9801 or 949-462-9773.